Mobile mixer trucks. Our trucks mix your concrete on site, offering more flexibility and quality than traditional barrel trucks. Concrete prices vary by the amount you order and the cost per yard. Our prices are competitive with each and every concrete supplier in New Jersey. There are, however, several hidden costs that both residential and commercial building contractors should be aware of when buying concrete. They include waste and disposal fees for ordering too much, delays due to orders that are too small, quality control issues due to delays getting concrete to the site and getting a bad batch. The actual cost of concrete can end up being significantly more than the price per yard! Pre-mixed concrete, delivered in barrel trucks, is subject to many of the cost variables listed above. 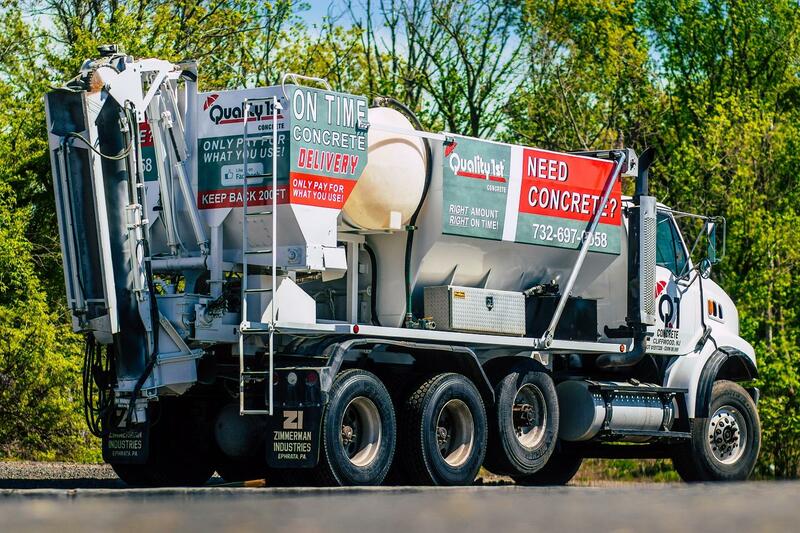 Quality 1st Concrete’s use of mobile mixer trucks, however, eliminates waste, delays, and inconsistent batches due to guesswork and mis-communication. Our compartmented trucks carry all the ingredients necessary to make concrete (sand, water, cement, and coarse aggregate) and mix them upon arrival at the site. To keep costs low, Quality 1st Concrete’s knowledgeable drivers mix only the exact amounts needed for each job. With years of experience on our side, our drivers can make on-the-fly adjustments to the mix for the weather. Because we carry extra materials, there’s never a need to return to the concrete plant for more – and you only pay for what you use. Our mobile-mixer approach to supplying concrete ensures fresh and creamy concrete to your job site for optimal results every time. Fresh concrete also means that you have more time to work it. Use our concrete calculator to determine the number of cubic yards you need for your job. No job is too small or large and written estimates are always free! 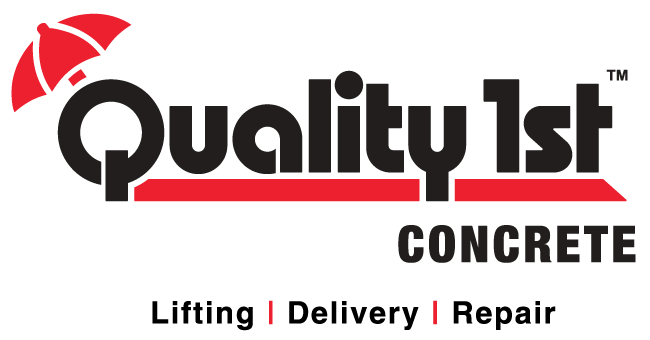 Quality 1st Concrete of New Jersey has more than 20 years of experience to meet your home improvement and concrete replacement needs. Our concrete specialists work on driveways and garage aprons, concrete flooring, sidewalks, curbs, slabs, and patios. We cover a wide area of New Jersey including the counties of Middlesex, Monmouth, Somerset, and Union. Contact us today for fast and professional concrete delivery! Our mobile mixer concrete trucks are ready and waiting for you!